Air that is filled with grease rises through the filters and is forced to change direction quickly, fat droplets cannot change direction as fast as air, because of this the air is freed from the oil. The droplets condense on the blades of the baffle grease filter and then are channelled into the tray. A filter tray serves to prevent the build-up of grease; and therefore, airflow is not blocked. The design of the filters prevents the development of fire in case a breakout takes place. This is because the baffles in the filter are positioned in such a way that they restrict the passage of flames. When choosing a baffle grease filter, your biggest consideration should be the material used. There are only three choices of material: stainless steel, galvanised steel and aluminium. 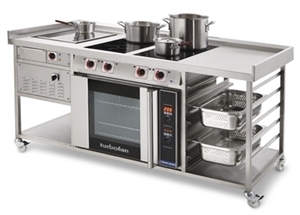 Each of these has its advantages and disadvantages and will suit commercial kitchens differently. During the purchase, you need to consider your priorities. Some kitchens are interested in long-lasting filters and some desire cost effective solutions. Most people who work in commercial kitchens and restaurants vouch for the effectiveness of stainless steel baffle grease filters. Aluminium mesh filters are considerably cheaper than stainless steel filters. The cost of mesh filters, however, matches the level of quality which makes aluminium filters a poor investment. In addition, you need to take into consideration the size of the filter. Grease filters are made in varying sizes for different hobs. Some designs are also made to be fully integrated with your restaurant kitchen, therefore giving a uniform expression to the whole set up. Although some details might look tiny, it is important to check them before investing your money. For example, the edges on the filters are sometimes made to be very sharp, and this can easily cause injury to the people handling them. Reputable companies make the edges rounded or blunt to protect users from getting cut or harmed in other ways. With galvanised steel and aluminium products, it is advisable to clean by hand. Otherwise, you may alter the colour of the filter and even cause corrosion. Galvanised steel filters can be used in the dishwasher. However, you should be ready to deal with the discoloration that will result from the effect of the cleaning chemicals. Aluminium filters will corrode when used in the dishwasher, and should, therefore, never be exposed to cleaning chemicals. 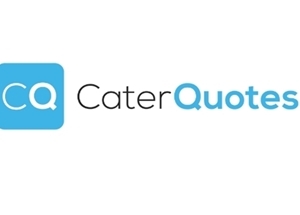 If you are working in a large restaurant or commercial kitchen, you probably will not appreciate the extra work involved in cleaning the grease filter. Using a stainless steel filter can save you a lot of time and even increase your efficiency. Baffle grease filters can also be cleaned by spraying or soaking. Just make sure you do not use dishwasher chemicals on aluminium and galvanised filters. Like most other products, the cost of grease filters always matches the value provided. Stainless steel is the most expensive option, followed by its galvanised alternative. Aluminium is the most affordable grease filter. A galvanised steel filter is a good option for those working on a budget. The filter will perform optimally and is of considerable quality. It won’t last as long as stainless steel but will go for a desirable period. The biggest disadvantage of the galvanised grease filter is appearance. Like aluminium filters, galvanised grease products discolour easily. If you have an open or accessible kitchen, you might not want to have it ruin the appearance of your settings. Unless you want to keep buying grease filters, you need to consider durability before paying for any product. Regarding longevity, aluminium filters perform poorest. Galvanised steel filters last longer than their aluminium alternatives. However, both materials can get damaged when used in the dishwasher. When they come into contact with cleaning chemicals, corrosion will begin almost immediately, therefore, shortening their useful lives significantly. Stainless steel baffle grease filters last for the longest period. 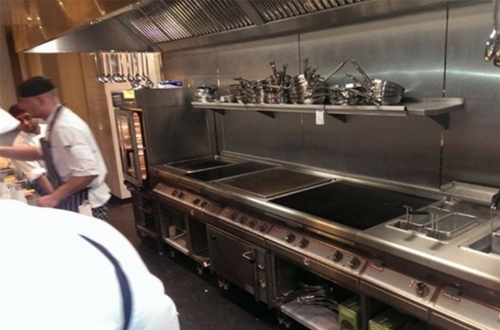 This is what makes the material a great investment for those who work in commercial kitchens. 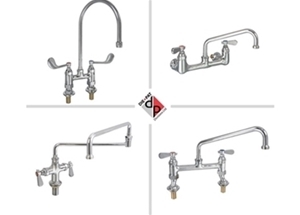 Regardless of what cleaning chemicals you use, stainless steel does not corrode or get damaged. While the other materials will keep you going back for replacements, stainless steel will keep your single investment safe for a very long time. Although their prices are high, you will spend much less in the long term since you will not have to buy more than one filter over a long period. Kitchens are associated with high levels of heat. The heat rating of a material determines whether or not the product will get damaged when exposed to very high temperatures. Of the three materials, stainless steel has the highest heat rating, followed by galvanised steel and finally aluminium. For a kitchen that uses grills and fryers, aluminium will not do since the heat emanating from such appliances is very high. Aluminium filters can handle temperatures between 200 and 450 degrees Fahrenheit, while stainless steel is strong enough to handle heat of up to 900 degrees Fahrenheit. Baffle grease filters serve to clean the air in your commercial kitchen and also reduce the risk of fire. The three materials used in the making of baffle grease filters are stainless steel, galvanised steel and aluminium. Most people prefer stainless steel filters since they are more durable, easier to clean and look better in their kitchens.